History of the Walsh Memorial Air Pageant and the formation of NZAT. In 1952 the Auckland Branch of the Royal Aeronautical Society, recognising that no lasting monument to Leo and Vivian Walsh had been established, set up an incorporated Society known as the Walsh Memorial Air Pageant Organisation. 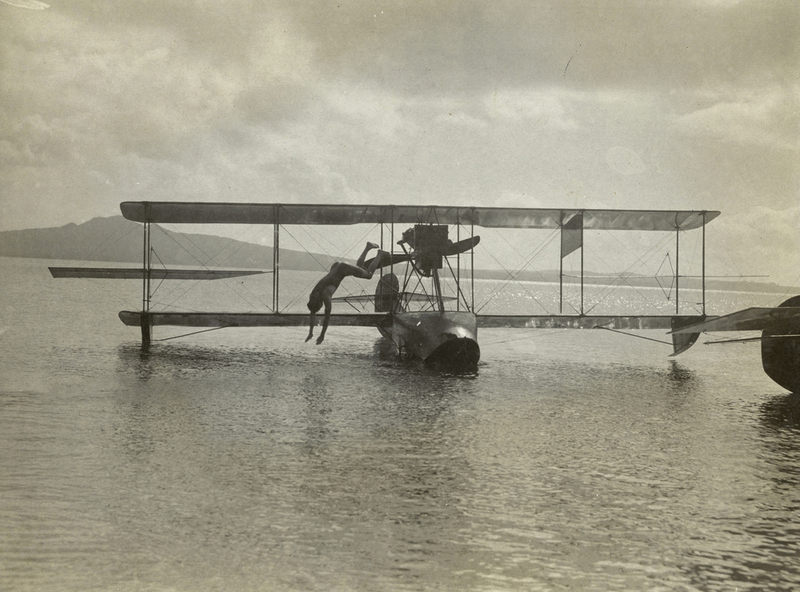 The purpose of which was to promote avenues whereby the names of Leo and Vivian Walsh would be perpetuated and their contribution to New Zealand’s aviation history suitably recognised. It was recognised that rather than an inanimate plinth or plaque, the objectives of the organisation could best be achieved by the establishment of annual scholarships in the name of the Walsh Brothers and in tribute to their flying and engineering skills that the awards should predominantly emphasise these two disciplines. This approach was warmly endorsed by the two surviving Walsh sisters who assisted their brothers in running the Flying School. From small beginnings in 1952 and funded by the proceeds of an air pageant at Whenuapai and later supplemented by profits made from air pageants to mark the opening of Wellington and Auckland Airports, and the Aviation Showcase run at Hamilton, all of which were organised and run by the Walsh Organisation, a significant capital sum was accumulated. It had been represented to the public and to the hundreds of volunteers, airwork people, aero clubs, RNZAF, RAF, RAAF, and overseas airforces and airlines who participated, that the proceeds would be set aside in trust for education and charitable purposes associated with the industry. 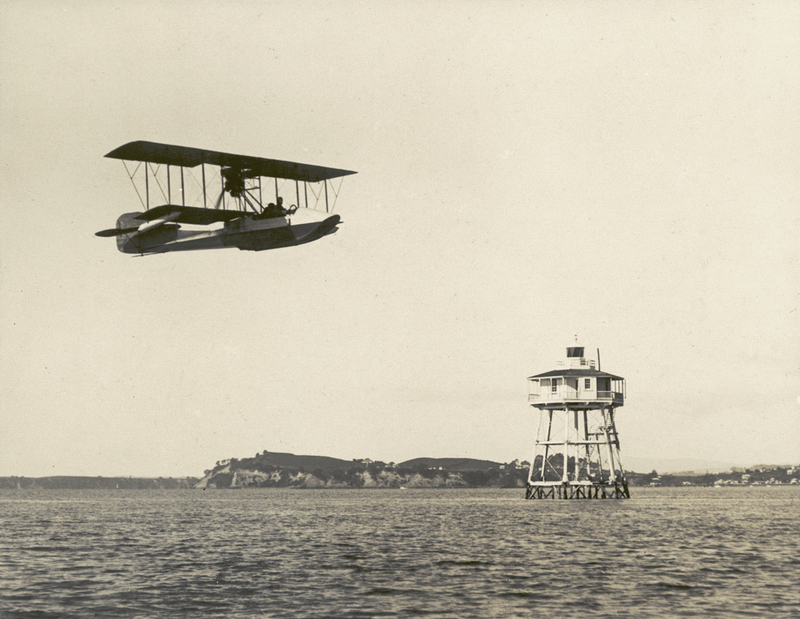 The name of the Walsh Brothers, pioneers of New Zealand Aviation, was to be associated with the scholarships and grants made from the income earned on the capital fund. The prime movers of the Walsh Memorial Organisation at that time were all Auckland stalwarts of the Royal Aeronautical Society. Names that come to mind include Geoffrey Roberts, George Bolt, Doug Patterson, Les Brister, John Malcolm and others – many of whom reached the highest posts in New Zealand aviation. Doug Patterson is perhaps remembered by those who were there, as the force behind the whole concept. Douglas Augustine Patterson provided the drive, enthusiasm, leadership and networking connections to ensure the success of the Walsh Memorial Organisation. In his role as chairman of the Organisation, Doug kept the activity together and focussed for nearly 30 years and in 1983 used the Organisation's expertise to raise a substantial sum to assist another aviation project, the Air Force Museum. The Walsh Memorial Organisation then took guidance from the New Zealand Division of the Royal Aeronautical Society as to how best to put this capital fund beyond the reach of any later body who may cast an eye on it. The then Divisional Council recommended a trust company and New Zealand Aeronautical Trusts Ltd took shape, modelled on the UK Aeronautical Trust Company. Barrie Hopkins, our solicitor, attended the first meeting to work out the terms of the trust deed under which Walsh Memorial would pass over the funds from the Whenuapai and other Pageants. The early meetings were chaired by Sir Arthur Neville, then titular head of Civil Aviation in New Zealand and a person of some influence, before Doug Patterson took over the chair. New Zealand Aeronautical Trusts Ltd was incorporated in 1956 as a trustee company to hold the proceeds of the funds raised by the Walsh Memorial Air pageant Organisation. The Royal Aeronautical Society Divisional Council gave more countrywide recognition to their activities, and personalities included (from Wellington) George Carter, Edmond A Gibson, Tom Coleridge, Bertram Cornthwaite and George Woodward; and (from Christchurch) Arthur Smaill, Wilton Johnston and Arthur Brazier. Divisional Council was and remains the body which appoints the Directors of the Company. The function of New Zealand Aeronautical Trusts Ltd is to act as trustees to hold and administer funds lodged with it and to abide by the terms of the several trusts declared at the time of receipt of moneys. Whilst founded on the back of the Walsh Memorial Organisation’s efforts, it became convenient to also use the company as the custodian of other funds which were from time to time offered for specific purposes. There are elsewhere recorded the details of the various awards and scholarships for which the Company holds capital funds, but the point must be fully appreciated that every dollar is subject to a declared trust. Even the seemingly general funds are subject to the trusts of the Walsh Memorial Organisation which generated them. The operations of New Zealand Aeronautical Trusts Ltd are quite independent of the Divisional Council, and the Directors alone are responsible for achieving the aims set down for the Company. The Company seeks to make present and future generations aware of the significant contribution these two Auckland brothers made to the development of civil aviation in New Zealand, and where appropriate to act as a vehicle for the management of later Trust funds for individuals acting independently or through the current Divisional Council of the Royal Aeronautical Society. The aggregate income exceeding a total of $600,000 has all been used in assisting young New Zealanders to improve their skills in their chosen field of civil aviation and in ways to perpetuate the names of the Walsh brothers. Over the years since it was established, the Company has provided scholarships to enable some thirty young New Zealand aviation apprentices to gain practical experience in large overseas factories engaged in the manufacture of airframes, aero engines and aircraft components through grants to SLAET and lately Air New Zealand Engineering Services. It has also provided substantial financial assistance to the annual Walsh Memorial Flying School operated at Matamata each January by the Scout Association through which over eight hundred young men and women have gained their "wings" to solo standard over the thirty or so years this school has operated. Some of these pupils have come back to the school in subsequent years and have undertaken more advanced flying. The school benefited by the Charles Todd Memorial Scholarship through the generosity of the Todd Foundation commemorating Charles Todd, one of the pupils trained in the Walsh Flying School during the 1914-1918 war. The Company was also instrumental in setting up the Walsh Memorial Library at the Museum of Transport and Technology (MOTAT) and has made grants totalling more than $65,000 to expand and maintain the library. This library is regarded as the main repository in New Zealand for aviation records. Flying scholarships have been provided, some to advanced stage, to both the Air Cadet League and the Air Training Corps together with scholarships or bursaries to cadets who wish to undergo technical training and follow a career in the aviation industry. Aero Clubs, the New Zealand Gliding Association, Parachute Clubs, the Aviation Historical Society and other related activities have also benefited from assistance given by the Walsh Memorial Trust. A small amount of funds are available occasionally to support ad hoc activities such as the recent publication by the Rev. Richard Waugh of his book on the Lockheed Electra. The Directors are mindful that the Company exists thanks to the foresight of some remarkable people and we constantly strive to develop and grow the activity. The difficulties of sustaining good income and/or Capital Growth are well known but the objects of the Company remain as valuable today as in 1956.